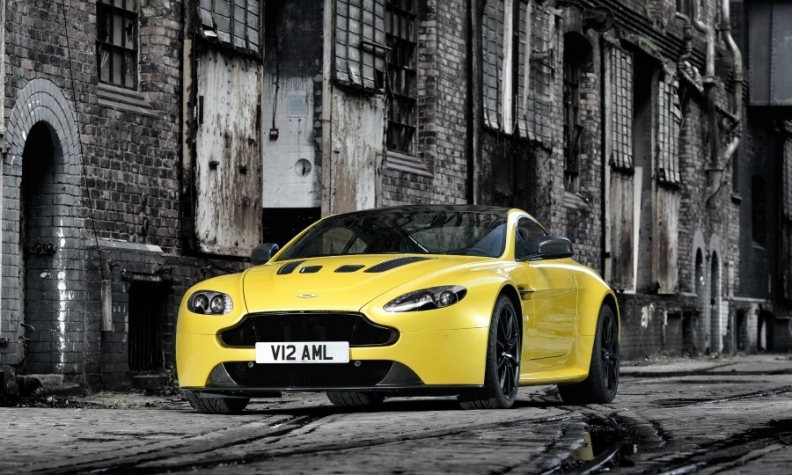 Aston Martin is recalling Vantage cars built between June 2010 and September 2013 that have an automated manual transmission. The decision was taken after a team of Aston Martin engineers went to China in May to investigate a problem that several customers there had been complaining about since 2014. "Normally recalls start in America. I don't think it is the only example, but it's interesting that it started from China and becomes a global recall," CEO Andy Palmer said. "It demonstrates the importance of China, the sophistication of the customer and the diligence of the authorities there." The UK luxury carmaker sold 3,259 cars globally last year, nearly 8 percent of them in China. Aston Martin's plan was conveyed on Tuesday to Chinese regulatory agencies that had taken up the issue after dissatisfied customers complained. Formal documents would be submitted by the end of the day, Palmer said. Chinese authorities did not respond to a request for comment. The global recall will be unwelcome publicity for a company that has said for years it wants to go public. It reported its first Q1 profit in a decade in May. Palmer did not say how much the recall would cost, but people close to the company estimated the total cost at around 300,000 pounds ($380,760). The recall will cover Vantage cars built between June 2010 and September 2013 with the Sportshift I and Sportshift II automated manual transmission gearboxes, including 113 that were sold in China. The Vantage is the only Aston Martin model with a semi-manual shift. Palmer said the problem occurred because some dealerships in China failed to reset the clutch position after software updates to the automatic transmission system. "In the normal course of events, when you make a software change, you have to re-teach the engagement position of the clutch. And most of our dealers around the world automatically did that," he said. If the clutch is not re-taught the biting point - the point when the clutch plate engages with the engine plate - "it's possible that a car could initially stall while in operation," he said. The stalling caused a complete loss of power in some cases, shutting off the engine and power to the electrically-assisted steering and brakes, making it extremely difficult for a driver to guide the car safely to a stop. Given that dealers and customers in China may have less experience operating and maintaining supercars like Aston Martins, Palmer said the company should have spelt out to dealerships what they needed to do. "I blame us," Palmer said. "Basically, we should have explicitly said within the service action for the software that we should re-teach the clutch. We didn't explicitly say that. Therefore, we take responsibility for fixing it." Palmer, who joined Aston Martin from Nissan in late 2014, said the company knows of 21 instances of potential sudden engine stall, all in China. The fluid pipe connectors on the gearboxes would also be replaced during the recall, he said. Three years ago, Aston Martin recalled most of the cars sold in China that had been built since 2007 after discovering a problem with defective throttle pedals, which it blamed on Chinese subcontractors using counterfeit plastic material. The Beijing branch of China's product quality watchdog - the General Administration of Quality Supervision, Inspection and Quarantine (AQSIQ) - in January last year asked the company to investigate the issue and report back. AQSIQ's Defective Product Administrative Center opened its own investigation in April. Also in April, China's Consumers Association issued a statement saying that there were enough incidents of the Vantage stalling to warrant a recall. Carson Guo and his brother James lost their licensed dealership with Aston Martin in Beijing in December 2016 after fielding complaints from customers about stalling cars. Of the eight customers who complained, six had bought Vantages. Carson Guo told Reuters several customers waged a campaign against the carmaker via Weibo, China's answer to Twitter, and at least two received a refund. One of the knowledgeable individuals close to Aston Martin said the Guos' contract was terminated due to a "significant reduction in sales through that outlet." Zhang Jia'ao, a 32-year-old partner at a Beijing-based venture capital firm, did not get a refund. He told Reuters he bought his Vantage S coupe from the Guo dealership for 2.35 million yuan ($344,287) in 2013, and sold it 11 months later to a used-car dealer for 1.23 million yuan ($180,201) after a series of stalls, some at high speed. On one occasion, following a complete loss of power, Zhang only managed to slow the car down by repeatedly bumping the tires against the curb, he said. "It was too dangerous," Zhang said. Asked about the problems Zhang encountered, Simon Sproule, chief marketing officer at Aston Martin, said: "The recall will ensure that any issues with this car are fixed."